The meeting began at 7:00 Pm and the main discussion was about field day activities. Field Day will be at the park, across from Midtown Market on Broadway. We Will be operating 3 stations this field day. One station for CW, one for RTTY and another station for SSB. for our use that day. Set up for field day will start between 7-8 am on the 27th with operation starting around 1800Z. help to operate. This will help man the stations for the duration of the event. Frank, Ky4LDS also showed a short video on the progress of his redwood and sequoia trees. Well done Frank! Keep ’em Growing! 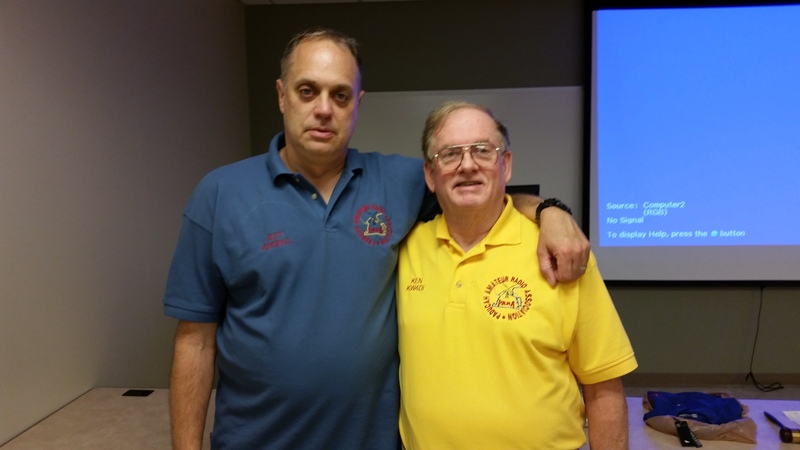 Monday, May 11th was our latest monthly meeting of the Paducah Amateur Radio Association with another good turnout of 19 hams. Field Day 2015 was the main topic. At the present time we’re thinking of having 2 stations operating instead of the usual 3 stations. We’ll have one more meeting on June 8th to finalize all Field Day plans. For those who have never been to Field Day the objective is to work as many stations as possible on any and all amateur bands (excluding the 60, 30, 17, and 12-meter bands) and to learn to operate in abnormal situations in less than optimal conditions. Field Day is open to all amateurs in the areas covered by the ARRL/RAC Field Organizations and countries within IARU Region 2. Field Day is always the fourth full weekend of June, beginning at 1800 UTC Saturday and running through 2059 UTC Sunday. Field Day 2015 is June 27-28. We are always in need of operators for this event. If you are interested in operating please contact one of the club officers and let them know. Even if you don’t want to operate stop by and see what it’s all about. 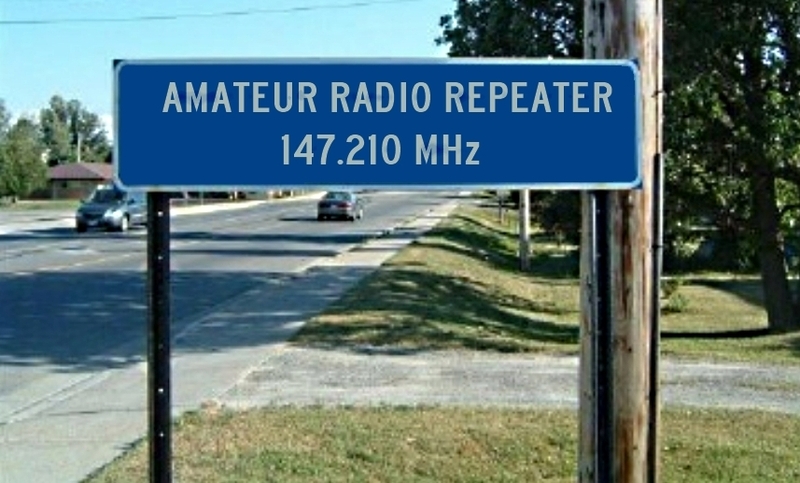 President Ken KW4DI got in touch with the right people and got approved 2 new highway signs with the club’s repeater information on them. The picture below gives you an idea of what the sign will look like. The Dayton Hamvention is May 15 through the 17th in Dayton, Ohio. 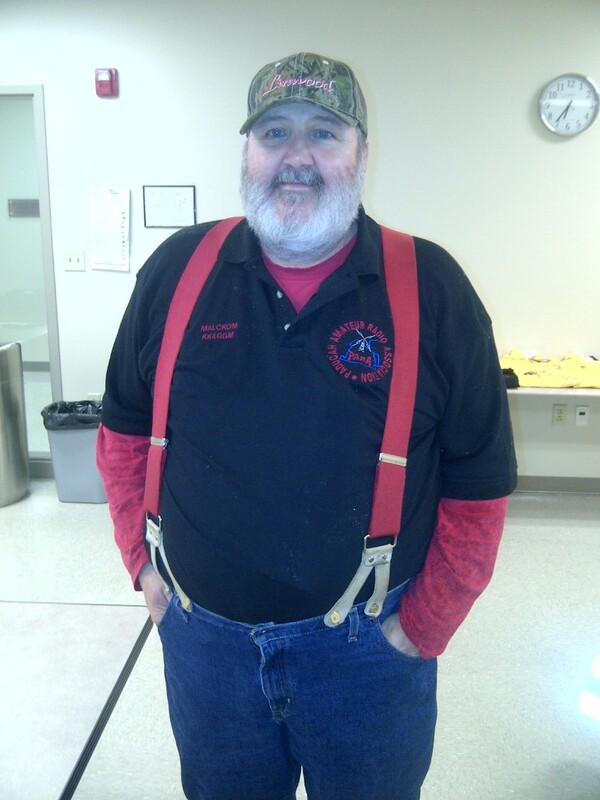 This is the biggest ham radio related event of the year. If you’ve never been it’s worth it for sure. For directions to the event click here. The new club shirts are in and they look really good. You can still order a club shirt if you are interested. The price is $22 unless you supply your own shirt and the price is a little less. If your interested in the club shirts contact Ken KW4DI and he’ll get you the information. Below are some examples of the new shirts. That’s all for now. Get on the radio! 73’s. Our Field Day 2014 activity summary has been submitted to the ARRL along with the supporting ADI/Cabrillo/Field Day Message files. Last year we had 1,965 QSOs with a score total of 7,380. This year we had 1,375 QSOs with a score total of 4,468. The results are usually published in the December issue of QST. To view the submission summary click the link below. Please remember that this Saturday and Sunday is Field Day !!! We need some members to show up at around 6 AM Saturday (yea – I know that is early Ha Ha), to secure the covered shelters that we will use. Mike Newman is one of the early risers, and will help lead that effort. Some of the other members are meeting at Cracker Barrel by the mall around 6 AM. Contact AB4IQ if you wish to join the group there. The main setup effort will start around 8 AM. Please come out and join us for 30 minutes anytime or the entire operating period. Everyone is welcome. Field Day is always the fourth full weekend of June, beginning at 1800 UTC (1:00 PM Central Time)Saturday and running through 2059 UTC Sunday. Field Day 2014 is June 28–29. CW frequencies are 1.8025, 3.5815, 7.0475, 14.0475, 18.0975, 21.0675, 28.0675, and 147.555 MHz. Digital frequencies are 3.5975, 7.095, 14.095, 18.1025, 21.095, 28.095, and 147.555 MHz. We hope to see you there. We will have 4 stations on the air, and at least 2 of them will be in air conditioning…..